The London Diving Chamber is inviting you to attend this diving science and hyperbaric medicine event in London on Thursday 8 and Friday 9 November 2018. This year, it is taking place just a stone’s throw from Regent’s Park, at the centrally located Danubius Hotel Meeting Space, NW8 7JT. 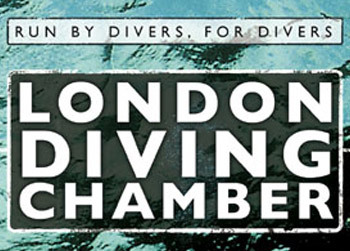 This is a unique opportunity and tickets are limited, therefore the London Diving Chamber has advised you should book your ticket in advance. The BHA promotes the understanding and safe practice of hyperbaric medicine, and ensures that member chambers work within accepted clinical and technical standards and legislation, in order to ensure that they deliver hyperbaric oxygen therapy to patients in an appropriate and safe manner. The BHA also encourages the exchange of information on treatment problems and provides a forum for discussion of hyperbaric therapy in the British Isles. Buzzacott is the current Director of Injury Monitoring and Prevention for the Diver’s Alert Network, Peter will present on diving injury surveillance and frontiers in decompression research. Efrati is a very well known proponent of hyperbaric oxygen therapy for a myriad of indications, Dr. Shai Efrati is a professor at Sackler School of Medicine and the Sagol School of Neuroscience of Tel Aviv University and the director of the Sagol center for hyperbaric medicine and research at Assaf-Harofeh Medical Center in Israel will be joining the conference to present on HBOT and brain injuries. Firth joined the LDC in 2006 and is the primary doctor carrying out diving medicals and recompression treatments at the chamber. He is an Honorary Lecturer at University College London and regularly gives talks on all aspects of diving and hyperbaric medicine to doctors, physiology students and local dive clubs. Martin is the proud owner of the lowest ever recorded partial pressure of arterial oxygen in a functioning human (2.55 kPa), Dan will speak about his experiences on Mount Everest, hypoxic (and hyperoxic) adaptation and its relevance to critical care. Rose is formerly the Base Commander of Rothera Research Station, Antarctica, for the British Antarctic Survey for 10 years, and currently Expedition Leader for the National Geographic Pristine Seas Expeditions. In 2017, he was awarded the Colin McLeod Jubilee Trust Award for "furthering international co-operation in diving." Paul is an experienced television presenter and radio broadcaster, and he will update us on his most recent work helping scientists unlock and communicate global mysteries in the most remote and challenging regions of the planet.